God of War III boss Stig Asmussen ended Kratos' trilogy one way, but how would the GoW1 and GoW2 directors have finished the story? God of War's Kratos is relatively unique in the world of gaming in that each of his three primary games has been under the control of a different design lead - which makes the series' consistency all the more remarkable. God of War III was directed by Stig Asmussen, but God of War II was helmed by Cory Barlog, who had taken over the reins from God of War's director and series creator David Jaffe. Asmussen ended the tale of Kratos in a particular way that we won't spoil here, but did the other two have their own visions on how the story should have concluded? Gamepro asked Asmussen that very question (among other things), and it turns out the answer is: You bet your britches they did. What David Jaffe talked about doing was -- and I'm not sure how it would happen -- basically, you destroy Greek mythology and then Norse mythology is right around the corner. 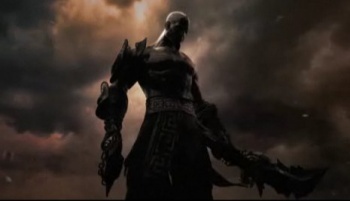 That's the next thing that Kratos would go after. It becomes clear at the end that he's going to become this harbinger of death across different mythologies in the world and maybe carry the series on from there. Cory Barlog talked about Kratos becoming Death. He pretty much becomes the Grim Reaper at the end of the game and his blades become sickles. They're both incredibly good ideas, but you need a director to be passionate about the story and understand it intimately. If I had used Dave or Cory's idea, I wouldn't have been as passionate about it. There you have it. Cory Barlog would have had Kratos become the embodiment of Death itself, whereas David Jaffe envisioned the angry Spartan going on to throw down with Thor and Odin. I think I like David Jaffe's version best. Just try and tell me that wouldn't have been badass as all hell.